Home > Blogs > Gabriela Agostinelli > Welcome to St Mary's County MD! 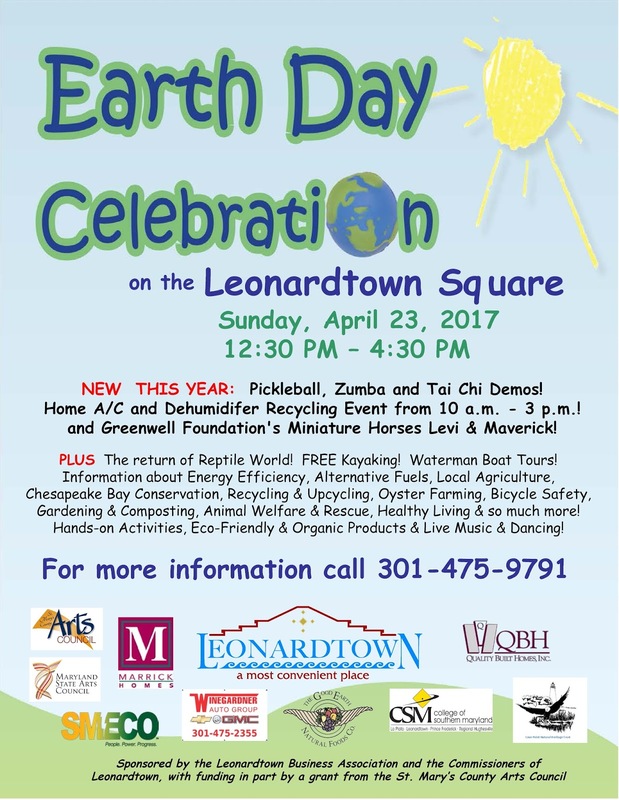 Come to celebrate Earth Day on the Square in historic downtown Leonardtown, Maryland on Sunday, April 23, from 12:30 PM – 4:30 PM. From 10:30 AM – 5:30 PM traffic into the historic downtown area will be detoured to free parking areas around the Town. know more about St Mary's county neighborhoods! Find MD real estate agents and Leonardtown real estate on ActiveRain.